This is what I hear from Aaron everyday. Poor little guy loves his big brother SO much but he is away at Scout Camp all week. Aaron sits bored for hours without his pal. So tonight I decided we were going to the mall. This kid loves to window shop (just like his dad) I had heard that the mall had a new LEGO store and we went to check it out. He had so much fun playing with all the pieces and ooohhhhing and aaaahhing at the Star Wars models and I promised him some of those for his birthday and Christmas. He picked out a really cool Airplane set and we joined their VIP club. I know we'll be back. After, we headed over to Auntie Anne's pretzels, Sergio's favorite. No trip to the mall would be complete without him getting his two pretzels. I passed this time. 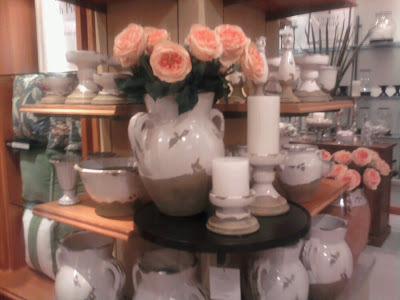 But I told them that since they had their favorites, now it was time for me to drool over some pretty things too. 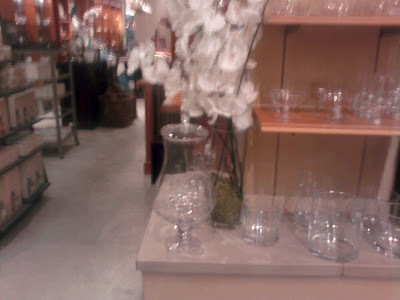 While they sat and ate their pretzels and drank their cokes I sauntered into ---POTTERY BARN!! I.Love.This.Place. That huge jug is absolutely gorgeous!! It's $89 though so it has a bit of an ouch factor for me and my wallet. But look at all the other smaller jugs and candle holders. To Die FOR!! 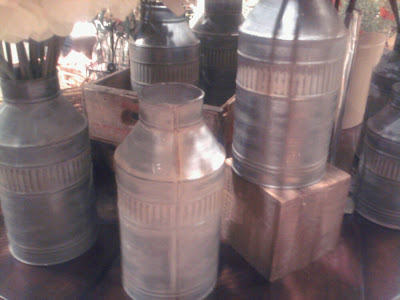 I have been looking for some metal milk cans and I finally found them!! I SO want these! I think the medium one is $14. I have to have three of them though and the large one is around $28. Again, ouch! !when added up. But wouldn't they look cute on top of some kitchen cabinets with greenery spilling out from underneath them? glass container. Couldn't you picture it filled with colorful pebbles, soaps or sand and a starfish?? I must go back. I am so ready to decorate my home with more summery stuff like starfish, seashells, tin buckets, hydrangeas etc. I know PB has frequent sales so I will be back. Well after all was said and done, I did not buy anything (patting self on back) but I did go across the hall to GODIVA and bought myself my guilty pleasure: 2 dark chocolate raspberry bars. And when the guy asked if I was a member of their chocolate club I said "Chocolate CLUB? Sign me up!" And so he did and I got a free chocolate truffle. So as I type this my little guy is quietly entertained putting his LEGO airplane together and I have a mouthfull of chocolate. Can life get any better than this? 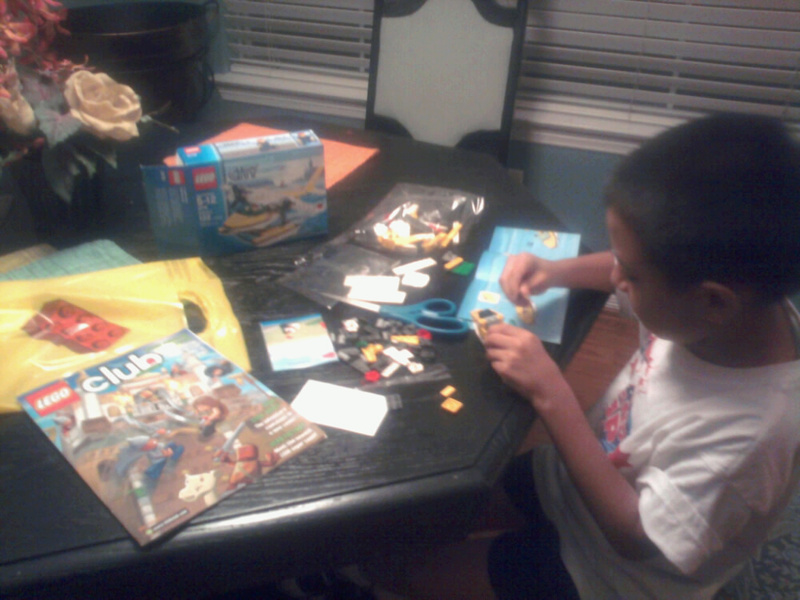 Legos are a great way to a boys heart. His brother will be home soon. That is so sweet!